USDA to Send $340 Million to Hurricane-Ravaged Florida Citrus”Is It Enough? How long does it take to get federal disaster relief funding? A long time! Oranges in a happier time. The hurricane directly caused more than 130 deaths, with more than half of those in Florida. The long-term damage has been intense, and among the most visible of those is the destruction heaped on Florida’s citrus groves. 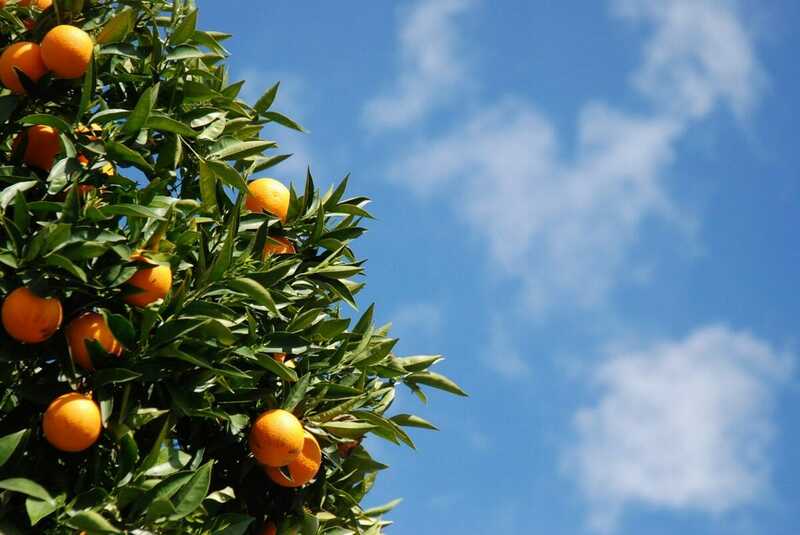 The USDA announced this week that a large block grant will be issued to help speed along recovery from the 2017 hurricane season, and $340 million of that will be going to Florida citrus. During the 2016/2017 growing season, Florida’s 237,000 acres of citrus land produced almost 78 million boxes of citrus, mostly oranges and grapefruits. (“Box” is the citrus equivalent of “bushel,” with each box holding about 90 pounds of oranges and 85 pounds of grapefruits.) Most of those are for the juice industry. But the industry, long iconic in the Sunshine State, is having a truly awful decade. Citrus greening, a disease sometimes known as huanglongbing, has caused billions of dollars worth of damage, and scientists have no real idea how to fight it. Then came Hurricane Irma. Irma caused an estimated $2.5 billion worth of damage to Florida agriculture, including about $761 million to the citrus industry alone, uprooting trees and destroying irrigation systems. Throughout southwestern Florida, farmers lost up to 90 percent of their groves. Immediately after the hurricane, Florida lawmakers began lobbying for disaster relief. It took a whopping five months before President Trump signed off on a package in February of 2018. In early April, the USDA issued a press release stating that sign-up for the program would begin “no later than July 16,” and it wasn’t until this week that the USDA announced eligibility details. The grant includes $340 million for Florida citrus, which is, obviously, far less than the $761 million worth of damage caused by the hurricane. Higher amounts will be awarded to those who had previously purchased crop insurance. In the meantime, Florida citrus farmers continue to wait.